#FlashBack: 12 Cartoon Shows We All Watched Growing Up! There was a time in each of our lives when Saturday and Sunday mornings meant only one thing - watching cartoons on TV! For the unlucky few who got access to cable much later than it was introduced (thanks, parents! ), there was only Doordarshan. But hey, who are we kidding. If there was no Doordarshan, we would have never been introduced to He Man and The Masters of The Universe, Duck Tales, TaleSpin or Gayab Aya! We may not be the Shin Chan, or Pokemon kids, but we definitely had our share of cartoons that we absolutely adored. We couldn’t help beginning with Gayab Aya, the first ever “made in India” animation series. Yes, for all of us Doordarshan watchers, Gayab was our Casper, the friendly neighbourhood ghost. This dubbed hindi version of a Japanese anime was one series that captivated our hearts. Yes, we are talking about the mornings when our TV sets resonated with “Jungle jungle baat chali hai…”. The original score composed by Vishal Bharadwaj and the title track written by Gulzar was as big a hit any Bollywood track of the times. And, of course, The Little Mermaid! Nothing - absolutely nothing - compared to the sheer awesomeness of this show. By the powerrrr of Greyskull! The granddaddy of all cartoon shows, Tom and Jerry, along with their shenanigans, can never bore us. Yes, we are talking about Bugs Bunny, Daffy Duck, Tweety, Sylvester and the gang. This marvellous series developed by the Warner Bros occupies a large part of our childhood memories. Into our lives came Cartoon Network one day... And if you were a CN watcher, you would definitely know what happened when sugar, spice, and everything nice combined with Chemical X - yup, we are talking about the Powerpuff Girls! 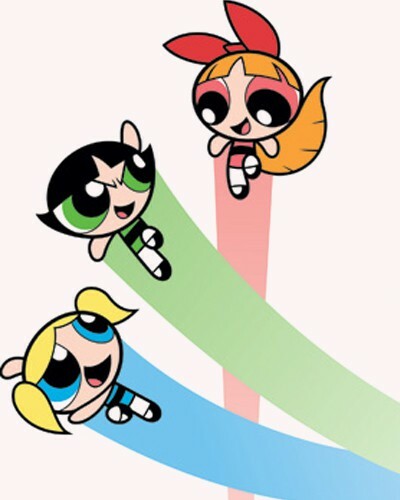 Blossoms, Bubbles, and Buttercup were hands-down the cutest superheroes we’d ever had. Nothing, absolutely nothing was more gratifying than watching the Caped Crusader and the Boy Wonder taking down the bad guys in Gotham City. And we all wanted a bat signal, did’nt, we? No matter what we were doing at home, whenever the familiar music score played along with the exclamation “Look, it’s a bird. It’s a plane. No, it’s Superman!”, we would rush to the TV room! He used to only appear in the credit sequences of each Inspector Clouseau movie, but then they gave him his own show. And we absolutely loved it! “Captain Planet, he is the hero, gonna take pollution down to zero…” - we bet you can complete the rest. The green crusader was our favourite hero at a time when we just started taking the environment seriously! There is only one way to describe this series - stellar! Could we help it with all the fringe science, virtual reality awesomeness, that too created about 15 years ago? If you wondered if anything badass could have a touch of innocence, go no further. Whenever T-Bone and Razor (well, after saving the world from imminent doom) sat down with their glasses of milk, at the super tech scrapyard of theirs, all of us milk-guzzling kids would revel in glory! That’s all, folks! MUST-READ: Bachpan Ki Yaadein: 10 Games Every Indian Kid Has Grown Up Playing! MUST-READ: Fun Things We Did with Our Parents That We Will Never Do with Our Kids!